It can be confirmed, Chicago loves Kanye like Kanye Loves Kanye. This past Wednesday, August 19th, was the day Kanye West sent his fans into a frenzy with the announcement the 21 city temporary Life of Pablo Pop-Up Shops. 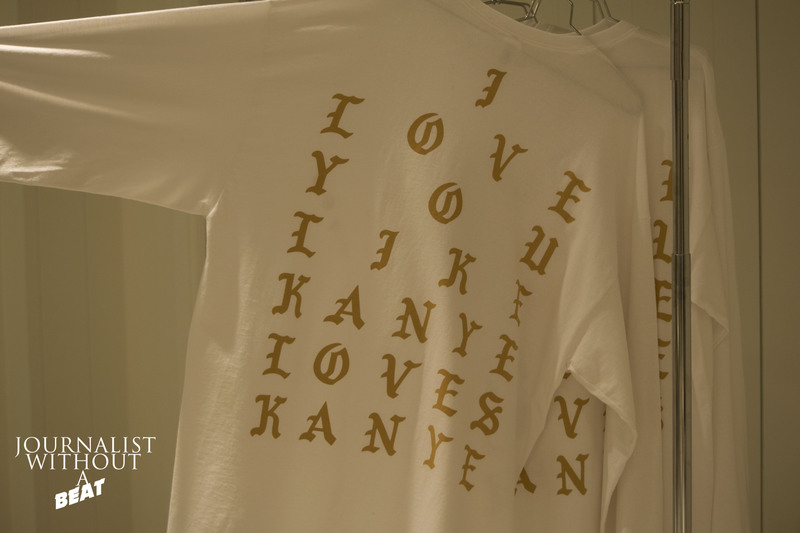 Best believe fans of Kanye were eager to get their hands on some new exclusive Pablo gear. Since its launch on Friday, reports from fans in numerous cities have stated it seemed that they were in a never-ending line for hours on end. Could these reports be true? The best way to find out is to see for yourself. I arrived at Northbrook Mall around 7pm on Saturday. At first glance, it looked as if 20 people were ahead of me. When I first entered the line, I could hear Desiigner’s Panda playing from inside the store, then I was approached by a security guard that issued me a numbered ticket. This ticket is your key to get inside the store. After few minutes passed, a store employee (all store employees were dressed in all white with the matching white Ultra Light Beam T-Shirt) gave me a clothing chart displaying what was inside the store. My wait to get inside wasn’t bad at all; I was in the store shopping less than 15 minutes of wait time. Before going in, I looked behind me to see how many people had joined the line and it looked to be 30 people deep. 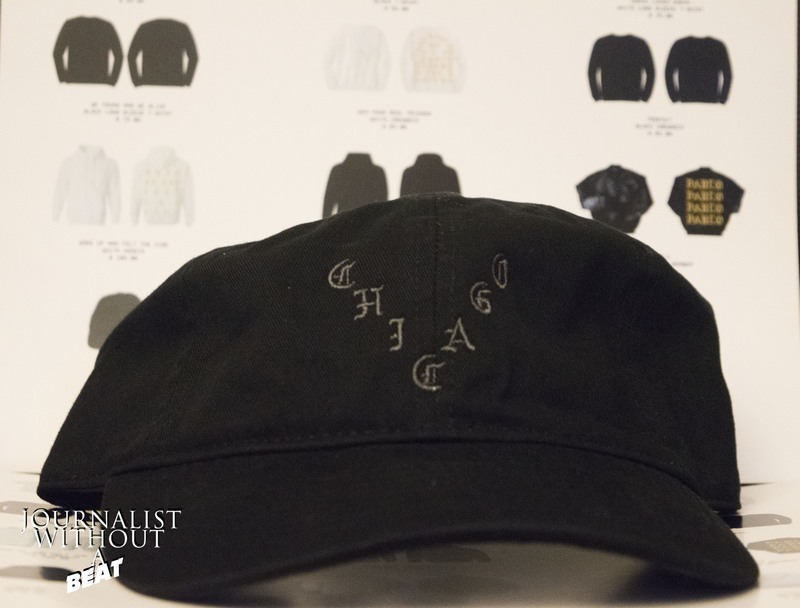 When you first enter the shop, you are met with a huge wall displaying “Chicago” in the Pablo style font. The entire store was the color white and featured about 4 racks showcasing all the t-shirts, long sleeves, crewnecks, and jackets that were available. While looking around, I was approached by an employee who gave me another clothing chart, but only this time I was also handed a sharpie and told to mark my size next to the items I wanted to purchase. The employee would then take the chart, retrieve said items from the back, and placed them at an available register for you to check out. This method was a great one as it sped up the process and allowed more customers to enter the store. For those who want to know, yes the store accepts credit/debit, Apple Pay, and of course, cash. Also there seemed to be no additional tax with my purchase. Oh, I should also mention that all purchases made at the Chicago store included a clear plastic bag that displayed “Pablo” 4 times vertically outside the bag. Sunday, August 21st is the last day to purchase city-exclusive I Feel Like Pablo merchandise. Check here for a complete list of cities and store times.